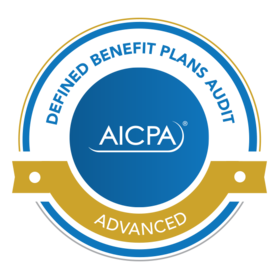 This certificate requires the ability to evaluate and analyze the core concepts related to client acceptance, engagement planning, engagement analysis, concluding an engagement and guiding principles for defined benefit plan audits at an advanced level as outlined in the AICPA Competency Framework: Employee Benefit Plan Auditing. Yes, make AICPA a Trusted Issuer. This will automatically accept all pending and future Credit from AICPA. By removing trust, badges created by AICPA are no longer automatically accepted and you'll need to review in your inbox before accepting.